Chris Christie was gentle in his direct comments on House Speaker John Boehner’s resignation. Although he was critical of Congressional leadership more broadly in earlier comments, Christie politely said that “the Speaker obviously made a very personal decision” and “that it’s hard to tell” when I asked if in his view the House, and the country, would be better off without Boehner as Speaker. 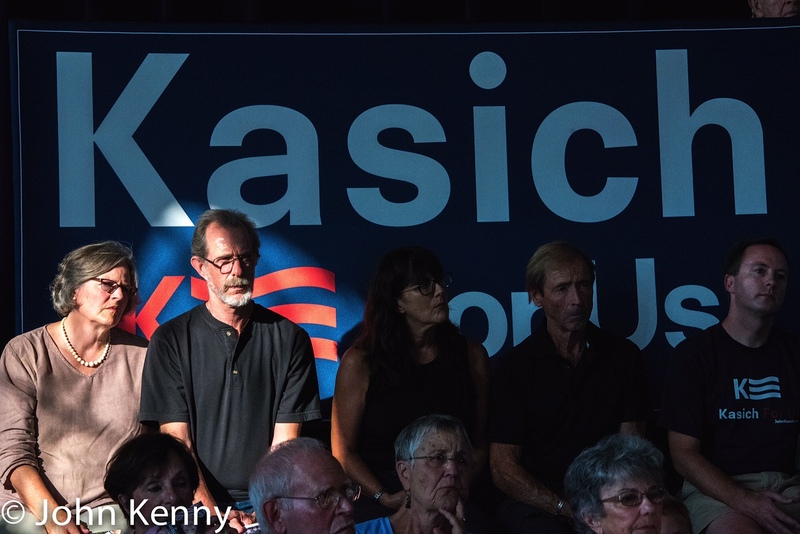 We spoke after a Christie town hall in Nashua, New Hampshire. “A step in the right direction” is how Republican presidential candidate and Senator Rand Paul characterized House Speaker John Boehner’s resignation announcement. 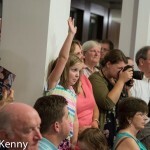 Speaking at campaign town hall in Salem, New Hampshire, Senator Paul criticized Congressional Republicans for failing to change federal spending and characterized Boehner’s departure as a product of frustration on that by voters and some Congressional Republicans. Speaking to reporters afterwards, Paul disclaimed any interest in a specific candidate to replace Boehner. Mayor Bill de Blasio and Timothy Cardinal Dolan came together yet again on Wednesday, this time holding a Bronx press conference to announce a program establishing a new program providing beds for homeless people linked with the providing of social services. 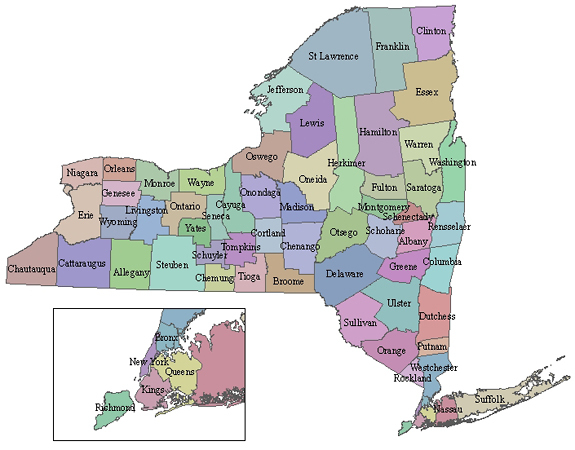 The Archdiocese of New York, headed by Cardinal Dolan, has committed to providing 150 of the contemplated 500 beds in the program. de Blasio and Dolan spoke at a South Bronx shelter for homeless men operated by the Franciscan Friars. 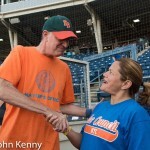 Mayor Bill de Blasio avenged his 2014 softball loss to the City Council, leading his team to a 13-12 victory last night. Playing before a handful of fans at the Staten Island Yankees home stadium, the teams fought hard for the City Hall bragging rights at stake. Our full photo gallery is here. Mayor de Blasio boosted his team by enlisting Staten Island Borough President Jimmy Oddo. 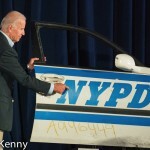 Oddo, a former City Council member, and de Blasio asserted that as an “executive branch” employee Oddo was eligible for the Mayor’s team. 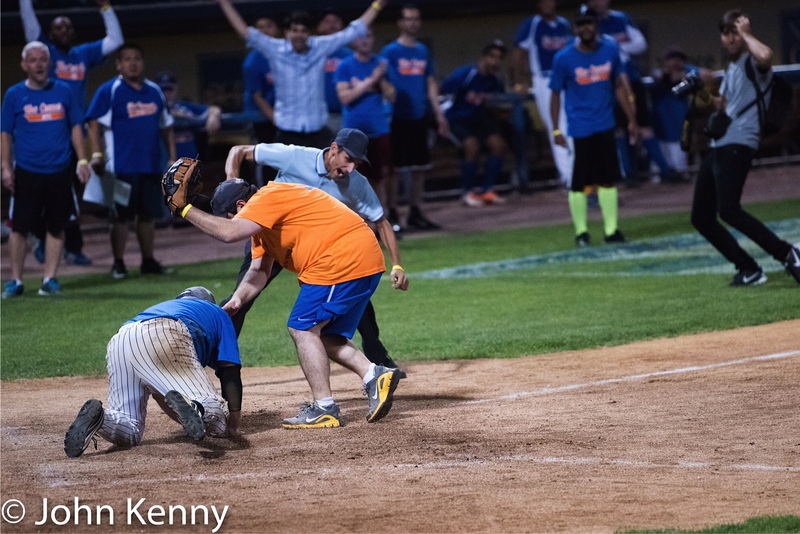 Oddo razzed his former colleagues and raised the level of play for the Mayor’s team. 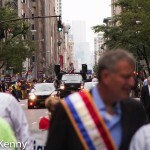 Mayor Bill de Blasio and Governor Andrew Cuomo were among the many elected officials in Saturday’s Labor Day Parade. Our full photo gallery is here. Governor Andrew Cuomo spoke briefly with press today at the conclusion of the Labor Day Parade. Our Labor Day Parade photo gallery is here. 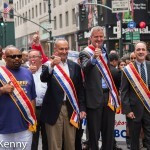 The 2015 Labor Day Parade featured separate appearances from Governor Andrew Cuomo and Mayor Bill de Blasio. Continuing their pattern of public cold shoulders Cuomo and de Blasio marched separately, although within sight of each other. 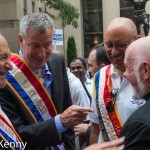 de Blasio joined a large contingent of labor leaders, including Mario Cilento, Gary Labarbara, Vinny Alvarez, George Gresham, George Miranda and Mike Mulgrew. 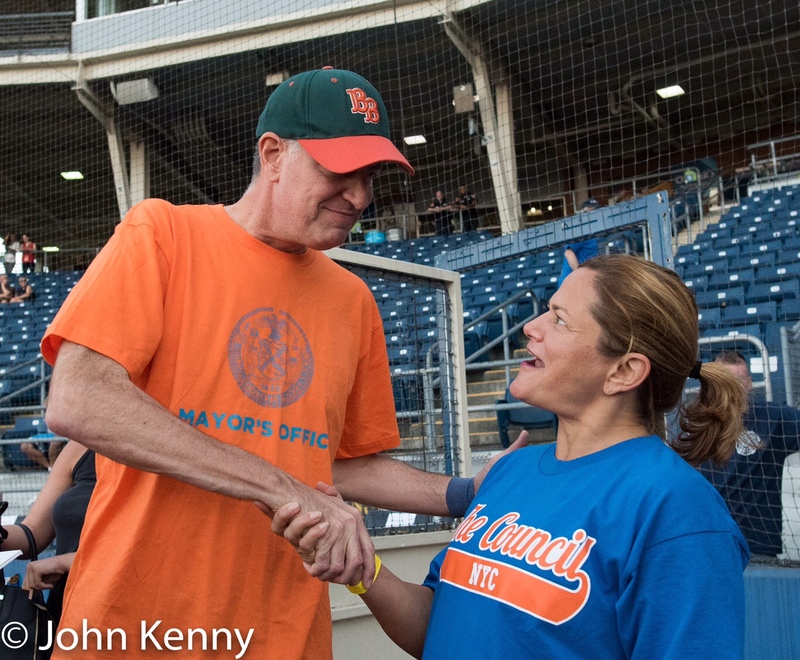 Council Speaker Melissa Mark-Viverito and, for part of the route Senator Chuck Schumer, also marched with de Blasio. 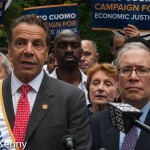 Cuomo was accompanied by a large contingent of elected officials, including NYC Comptroller Scott Stringer, Queens BP Melinda Katz, State Senator James Sanders, Assembly Members Richard Gottfried, Guillermo Linares, Nick Perry and Michael Blake, and Council Members Margaret Chin, Ben Kallos and Daneek Miller. 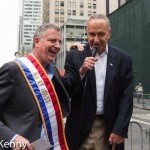 Saying that it was “my honor … to declare today that New York City is a labor town”, de Blasio pledged to “keep it a union town” and to “make it more of a union town.” As his brief remarks were coming to an end de Blasio noticed Senator Chuck Schumer waving his arms and calling out to him. de Blasio asked his audience “Chuck Schumer wants to speak, what am I gonna do with that brothers and sisters?” He yielded the mic. Schumer made a brief statement with his New York accent in high gear, working the Supreme Cawt, the #1 ansa and New Yawk into less than a minute of comments on Laybah Day. Cuomo’s press Q&A is here. 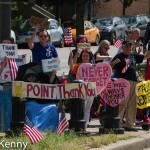 Our parade photo gallery is here. 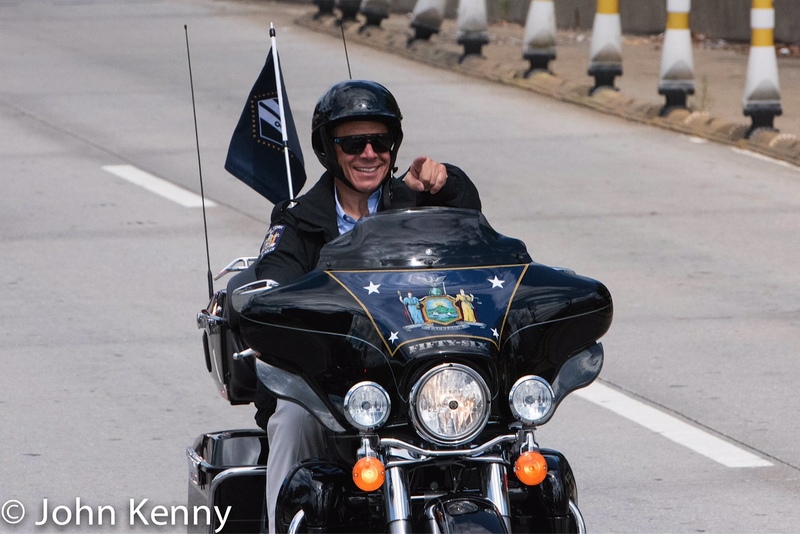 Governor Andrew Cuomo led the last leg of a commemorative motorcycle ride to the World Trade Center today, joined at a pre-ride lunch by Vice President Joe Biden and Billy Joel. 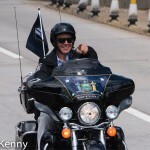 Fellow motorcycle aficionado Joel accompanied Cuomo at the head of the several hundred motorcycle convoy. 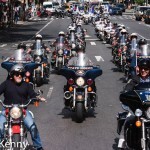 Our photo gallery of the lunch and motorcycle ride is here. 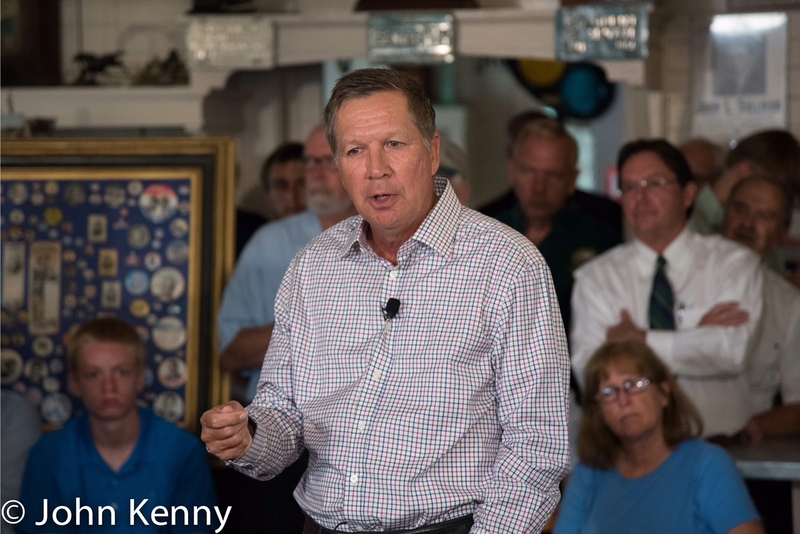 “Something is wrong with Johnny.” No, there’s not something wrong with Republican presidential candidate John Kasich. 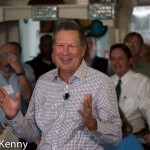 It’s actually a punchline in an introductory story Kasich frequently tells, and it captures much about Kasich and why he’s among the more likely possibilities for the Republican presidential nomination. 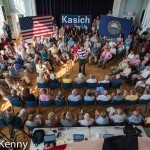 On Wednesday Republican presidential candidate John Kasich rolled through four New Hampshire town halls. 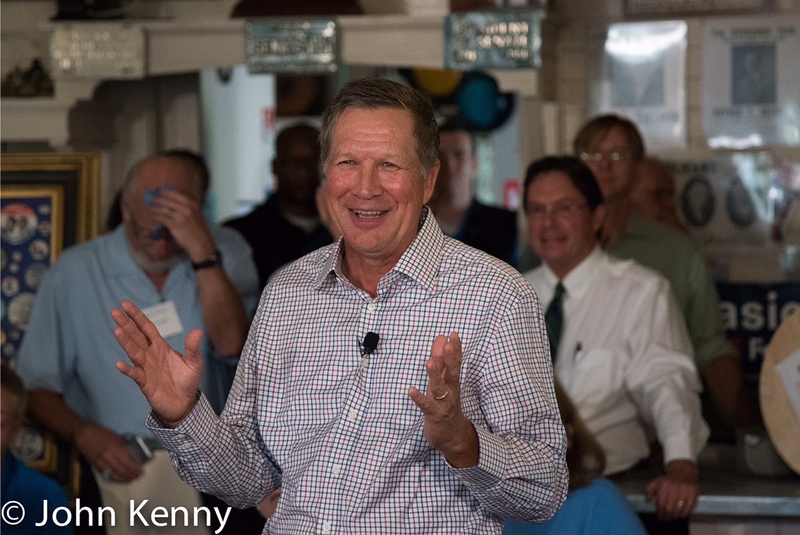 Starting at Robie’s Country Store in Hooksett and ending in West Lebanon, Kasich spoke to good-sized and receptive audiences. In addition to our other coverage, we have a photo gallery of his full tour, available here. Linkin Park, Bastille, Roger Waters and Pink Floyd, Green Day. 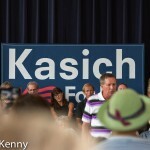 That’s the music rattling around inside John Kasich’s head. 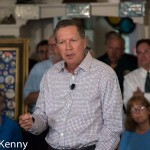 Kasich ended a New Hampshire day of four town halls and three press gaggles with a brief discussion of his musical preferences.